How many leasing calls do YOU take a day? Property Managers like us are busy people. We have to secure a listing, find the right tenant, manage properties, resolve disputes, and so much more that ‘busy’ becomes an understatement! 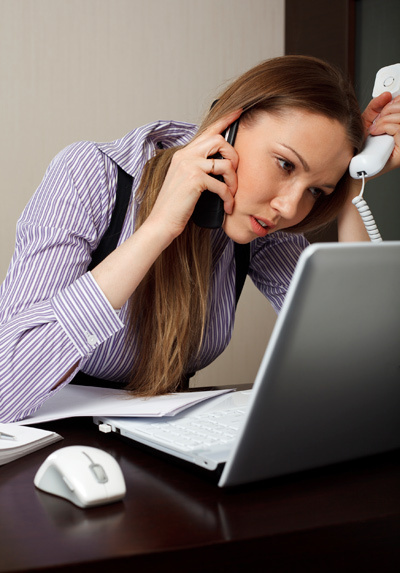 With all the work we have to do, it’s no surprise that most of us, if not all–dislike answering leasing calls. Don’t you agree? We love our customers; they’re good people simply looking for good homes. But let’s admit it, sometimes, answering the same questions for the same property a hundred times a day can drive us into a wall. So, could outsourcing leasing line and email lead services be the ultimate solution to this frustrating dilemma? Because we need TIME to focus on more pressing matters! With all the things we are responsible for, we can’t keep glued to the phone and our computers answering leasing calls and replying to email leads. We just don’t have the time for it! Because we need ALL LEADS COVERED! Every customer deserves the VIP treatment, but it is so easy to drop the ball, fail to respond in a timely manner, and leave the potential tenant feeling disregarded. They will just move on to call the next management office. This is not a good customer service and marketing strategy. This lack of attention inevitably effects our reputation and our chances of securing a tenant for our homes. Because we need to be MORE EFFICIENT! Out of the hundred of calls we get, only a handful will apply. To be efficient and effective in our roles, we only need details on these “hot leads.” Anything more is clutter in our inboxes and noise from our phones. With the right information, we can act accordingly and secure leads faster. Because we need to avoid negative reviews about COMMUNICATION! A lot of Google+ users leave reviews that complain about poor communication and customer service from the company or its property managers. Missed calls, unreturned voicemails, and overlooked emails represent sloppy customer service that can get you a negative online review. Don’t risk it! You may lose a potentially great tenant who’s looking for a company with better ratings. What we need is a dedicated, customer-oriented team that will stay on top of all our leasing interests and send us daily, weekly, or monthly reports on our leads. This is a critical aspect of the business and we need support. We deserve it. Outsourcing leasing lines and email leads will lift the burden off of your shoulders and hand it over to a team willing and highly capable to handle it effectively. This team’s sole purpose is to take calls, schedule showings, and follow-up on hot leads until they apply. Won’t that be efficient? Tell me, do you still want to pick-up all those calls?